In February 2017, Asia’s 50 Best Restaurants 2017 was announced. In this year, the 5th event, the best restaurants were selected from 11 Asian countries and regions (Japan, Thailand, China, Hong Kong, Macao, Singapore, Korea, Sri Lanka, India, Indonesia, Philippines). Many chef and restaurant teams gathered in the awards ceremony held in Bangkok, Thailand, and the event was delivered online throughout the world on LIVE. The ranking is said to be decided by voting by people familiar with the restaurant industry, critics living in Asia and chefs themselves. In this year, 10 Japanese chefs and restaurants were chosen from Japan. 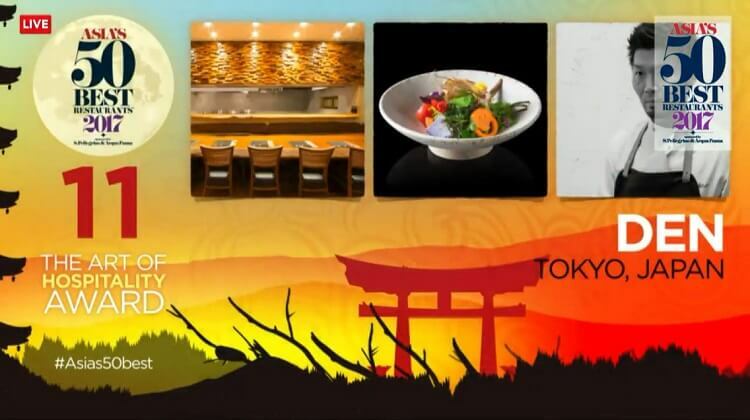 They are the highest peak restaurants which we are proud of. 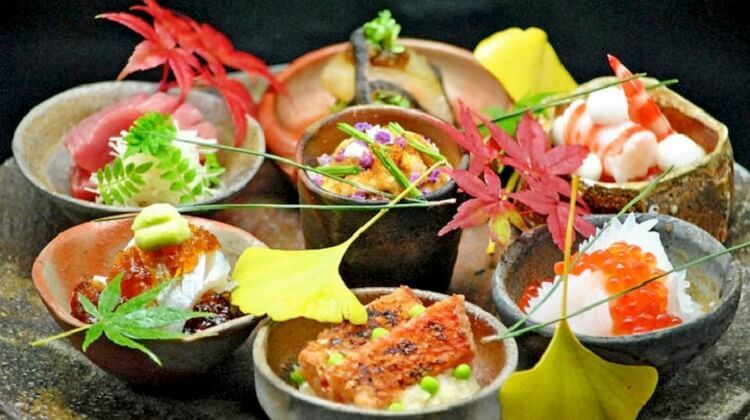 There are many wonderful restaurants in Japan that can consolidate the rich ingredients, technology and hospitality, which can only be enjoyed in Japan. 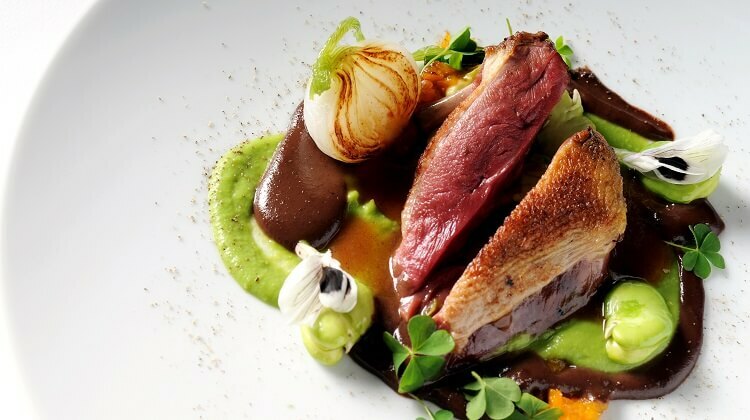 These restaurants will surely make your restaurant experience richer. By all means, please use the reservation / payment service of Pocket Concierge and visit these best restaurants. It is restaurant by owner chef Mr. Yoshihiro Narisawa in Minami-Aoyama, Tokyo. 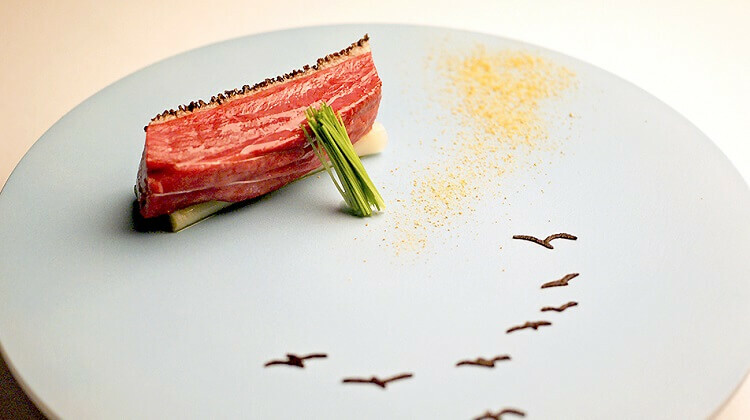 Chef Narisawa established its own genre “Innovative Satoyama cuisine”, and had been chosen as “the most influential chef in the world” in 2010 Madrid Fusion (the world’s best culinary society). He is a solitary existence that greatly affects the cooking world around the world that has passed the spirit of “nature” where people and nature coexist and live. It is a Japanese restaurant by owner chef Mr. Seiji Yamamoto in Roppongi, Tokyo. The thought that “it is the most delicious treat to enjoy the treasured material of Japan in a very natural state” is put in RyuGin’s cuisine, . And with his cooking, the richness of the nature of Japan is represented brilliantly. You can imagine a scenery where the seasons of Japan change in this calm space. It is a creative style restaurant based on Japanese cuisine by owner chef Mr. Zaiyu Hasegawa in Tokyo. DEN won the newly established “Hospitality Award”. Thire hospitality to guests creates fun and surprising original dishes and makes all guests who coming from the world pleasing. The dog which can be said as the face of this restaurant welcomes guests is the unique hospitality of Den. It is a French restaurant by chef Mr.Shinobu Namae in Nishi-Azabu, Tokyo. You can enjoy radical cuisine that came from chef’s intuition and analysis along with excellent wine carefully selected by a famous wine director Mr. Okoshi. The signature dish that you can taste throughout the year is the turnip cuisine baked slowly at low temperature. It is a modern French restaurant by chef Mr. Hiroyasu Kawate in Gaien-mae, Tokyo. 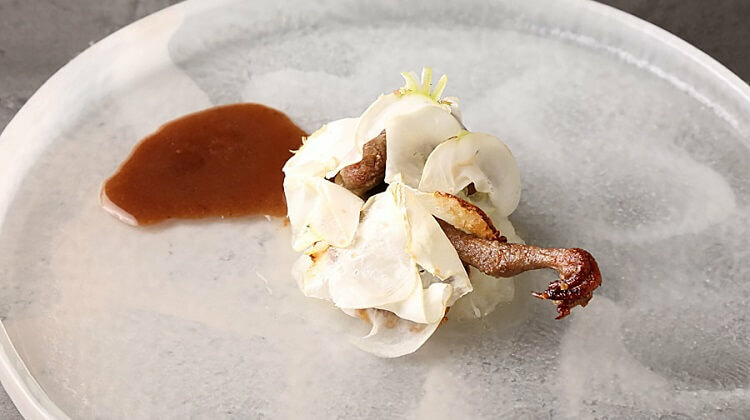 The chef goes beyond the framework and uses various cooking techniques to make sophisticated dishes focused on Japanese producers and ingredients. You can experience the cuisine at the boldly spread open kitchen counter. Florilege is a restaurant that continues to send the message “want guests to feel happy through the experience at our restaurant” to the world. 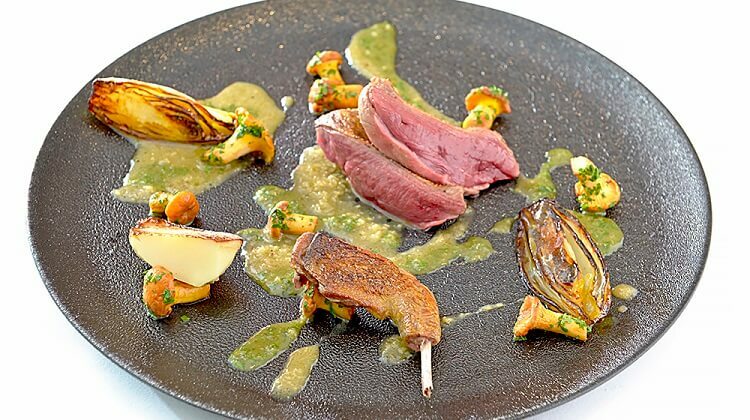 It is a French cuisine restaurant that keeps seeking the essence of owner-chef Mr. Shuzo Kishida in Shinagawa, Tokyo. Mr. Kishida who accomplished the Michelin three-star achievement for 10 consecutive years has continued pursuing thoroughly for 10 years, with the theme of “Material” “Heating” “Seasoning”. He is a professional who does not compromise on making delicious dishes without being influenced by popular ingredients and cooking methods, trend, and so on. 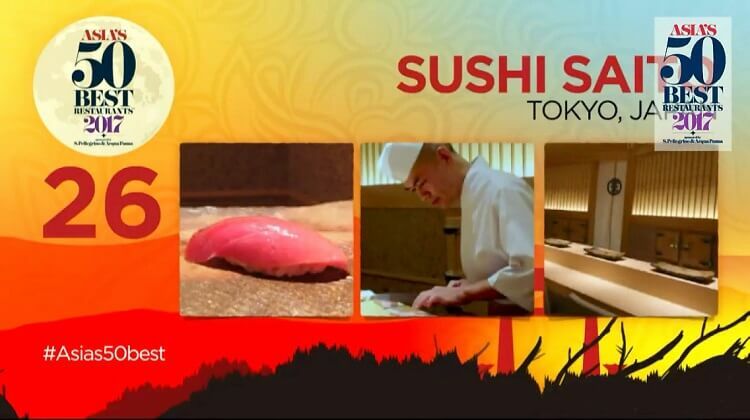 It is a Edo-style sushi Sushi restaurant by owner-chef Mr. Takashi Saito in Roppongi, Tokyo. From the counter of one board of Shiraki, the best sushi that relaxes the tension of the guest are created by Mr. Saito’s technique which is delicate and precise. He is a representative Sushi chef of Japan, and also a person who has a calm and hospitality personality. Sushi SAITO has the charm that guests can taste “Tsumami” (appetizer) and “Nigiri” (hand-shaped sushi) by Omakase style with his talk with a light humor. HAJIME is a restaurant that has been garnering a great deal of attention from all around the world, by achieved three Michelin-star in the shortest period of time throughout the history of Michelin. The owner-chef Mr. Hajime Yoneda has a truly unique perspective of the world. He prepares dishes that highlight the beauty of regularity in systems, seeking to showcase the equilibrium and harmony that exists within nature, the Earth, and space, always aiming to show his respect and the fragility of these elements. 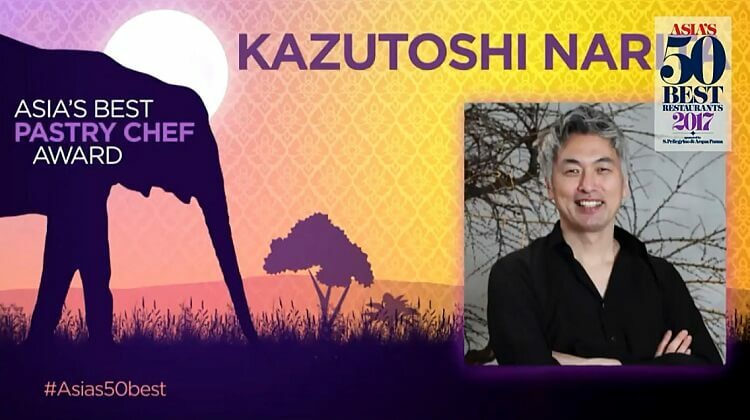 The team HAJIME continues to evolve every day, as they envelop people from all over the world, in a blanket of happiness, amazement, and deep emotions. We hope you will visit HAJIME and use all your five senses to experience this unique world — the ultimate gastronomy. It is an innovative cuisine restaurant by owner-chef Mr. Yoshiaki Takazawa in Akasaka, Tokyo. 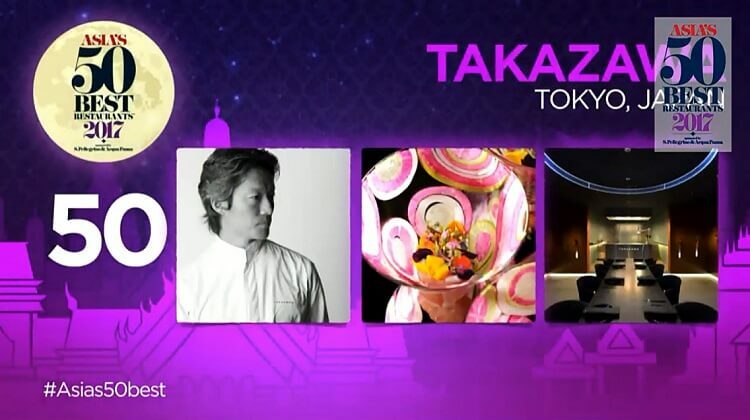 With the theme of “restructuring the Japanese tradition, good climate, people, ingredients”, it appeals beautifully to the eyes, dishes with the originality full of beyond genres, Mr. Takazawa propose possibilities. He is passionate about everything that makes restaurants, from choosing ingredients, wine and dishes. 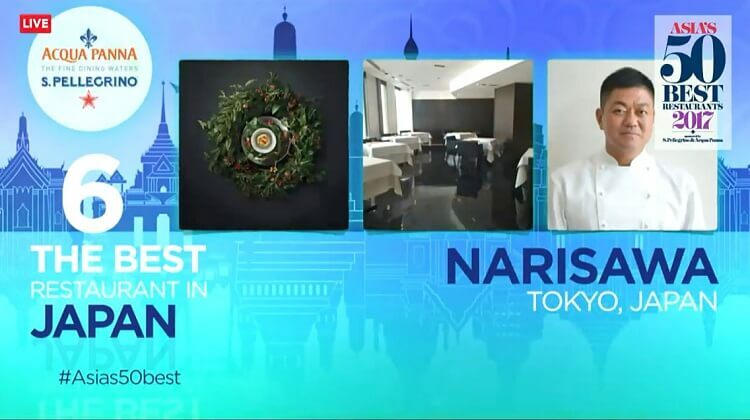 A pastry chef Mr. Kazutoshi Narita, of the French restaurant “ESqUISSE” in Ginza, Tokyo, was selected as a special prize “best patissier of Asia” different from the best restaurant 50 ranking. It is a professional in the world’s pastry world with chef experience such as “Pierre Hermé” and “Chateau restaurant Joël Robuchon”, including chef Patissier of Michelin-star restaurant in Paris and Italy.